Deciding to create a comfy corner on the blog to fill with exciting advice, experiences, tips, stories, and anything helpful I come across as I journey to childbirth and beyond has been one of my greatest ideas. This is a place for expectant mothers and mother’s to come and feel empowered and ready to take on the world. Even if you aren’t expecting or a mother just yet, and just starting your research on what it’s like and what you need to know, you’ve come to the right place! Instead of having several tabs open on Google just stop on by and take a seat. 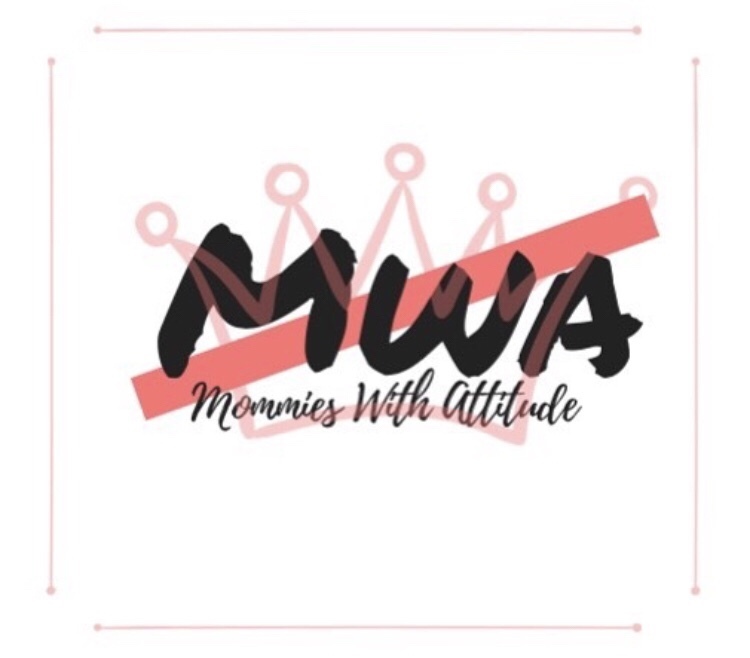 Me: You refer to yourself as the original “Mommy with Attitude” and that’s what you’ve decided to call your brand “MWA: Mommies With Attitude”. What inspired you to start an Instagram page geared towards Mommy’s. Do you plan to take it further than Instagram? Can we expect a blog (website) in the future maybe? Desirae: I think what initially made me start my Instagram page was one day I was thinking about all the things that I’ve been through as a mom so far and how much more I’m going to go through and I felt like I was alone, like I was crazy for feeling the way I feel. But I realized I wasn’t alone then I started doing some research on moms dealing with issues aside from postpartum and it’s sooo much that doesn’t get acknowledged publicly I figured why not make it public. Me: What can we expect to find on your page? Desirae: I can’t really say what exactly to expect but it’ll range anywhere from stories to pep talks, some words of wisdom, and contests giveaways. I don’t really want to give away too much you’ll just have to watch and see. Me: You’re a Mommy yourself; your son will be one soon right? How does it feel to have grown and nurtured a little human so far? Desirae: Yup, my baby will be 1 in April and I’m still amazed at it all. It all happened so quick it feels like I was just pushing him out now he is his own little person with his own personality and it’s still hard to believe that he’s mine. Me: How did you feel when you first found out you were pregnant? The emotions are real, how did you react? Desirae: Honestly I was so upset I was 22 and felt like I was still too young and my sons father was no where ready to be a father. I had two different sources confirm it and each time I balled my eyes out. Me: So far, what would you say your favorite part about being a Mom is? Desirae: Best part about being a mom is waking up next to my son and seeing his little face smiling, that and hearing his laugh goes neck and neck. Me: What advice can you give to someone who is about to have their first child and mother’s in general? What are some things we may encounter? Desirae: Research. Research, read, and search for everything you want to know about your baby. Talk to other moms but make sure the decision you make is what’s best for your baby and that it’s comfortable for you. You’re going to go through so many things it’s too much to name just don’t panic remain calm. Whatever it is you got this. I’ve seen that breastfeeding is the number 1 struggle it just takes a lot of patience and reading, anyone can breastfeed don’t let the doctor tell you, you can’t. Me: It takes a lot to raise a child, go to work, and do whatever else it is that needs to be done. But Mommy’s also want to have fun every now and then. How do you juggle life, work, creating new content, etc.? Desirae: This is one of my toughest battles I’m actually working on some content pertaining to this. But anyway I’m learning to utilize my support system when I need some time to unwind or just some “me” time or time to work on new content. I rarely go out so it’s really not much to juggle in my social life. Me: I feel like self-care is really important, especially for mothers who may definitely need a break from running around like crazy. What kind of self-care techniques do you use to refrain from becoming overwhelmed? Most importantly, what do you do to relax and get your mental together? Desirae: There isn’t much that will keep you from getting overwhelmed. But I take long baths with candles and music, write down my thoughts, organize my week in my planner, that’s my idea of relaxing. Me: What’s the transition like? You went from being someone’s child to someone’s parent. How long does it take to get used to the idea? Because I’m almost 6 months pregnant myself and some days it’s still a shock and takes adjusting. Desirae: Realizing that I was going to be someone parents and not just the middle child anymore was a hard one for me. I’m still not really used to it and neither is my mom. Me: How did your pregnancy go? Did you have morning sickness or any complications? Did you have any food cravings? Desirae: My pregnancy was okay I spent majority of it in the house eating baked potatoes and French fries both with cheese and a side of orange, either it was juiced or whole. And at 39wks I had to get induced because I wasn’t feeling any movement so the doctor gave me a stress test and BOOM 15hrs later my son was here. Me: Reflecting back on the person you were in your teenage years and even before pregnancy. How would you say being a mother has changed that? Desirae: I used to be a hot head so quick to pop off on somebody and now I have to ask myself if the situation is that deep? Is it harmful to me or my son? Does is take anything away from me and by then nothing matters anymore. Me: What’s the hardest thing about motherhood? Desirae: Self doubt is the hardest thing because you’re going to always feel like you’re not doing enough or you could’ve gotten more, always second guessing yourself when in all reality you’re doing great. Me: What were your thoughts about labor before you gave birth? Did you have a birth plan (natural, medicated, etc.)? Desirae: I was a “no medication all natural” mom well at least that’s what I planned on but I ended up getting induced and when those contractions hit back to back and they have to go in and break your water for you, not getting an epidural was out of the question. Me: We all worry and motherhood increases that worry 10x. What’s your biggest worry about your son’s future? And as a mother, what’s your biggest fear about the journey of motherhood? Desirae: You ever heard the poem “ I don’t play about son son “ by maui w? That poem literally describes my wants and my fears regarding my son future growing up a black man in America and I fear that I won’t teach him enough and that he won’t feel comfortable enough to come and talk to me about whatever he has on his mind . Me: One thing you never had that you want for you kid/kid(s) if you choose/want to have more in the future? Desirae: I want my son to have travel experience. I traveled a little growing up but I never been to Disney or overseas so I am patiently waiting for my son to turn 1 so we can be out. Me: How important do you think it is for new mothers and mothers in general to have support through pregnancy and motherhood? Desirae: It’s very important to have support as new mothers we seek guidance from mother new and experienced. We look for comfort in people for our own well being we may not need help with the baby. Me: You’re in a crowded store with a full cart and your baby starts throwing a tantrum. What do you do? Desirae: The patience I have with this kid are immaculate so I might try to figure out what’s wrong with him and calm him down or I may just give him a snack to calm him. Me: What do you and your son do for fun being as though he’s still young? How do you bond and strengthen your relationship? Desirae: My sons idea of fun is anything that has him going in the air.. I toss him up in the air sometimes, he likes to be spun around and he likes when his father and I act like animals (literally). But the thing that I think strengthens our relationship is when I talk/sing to him he looks at me like he’s just taking it all in one of the best feelings. Me: Did/Do you breastfeed, bottle-feed, or both? Why or why not? 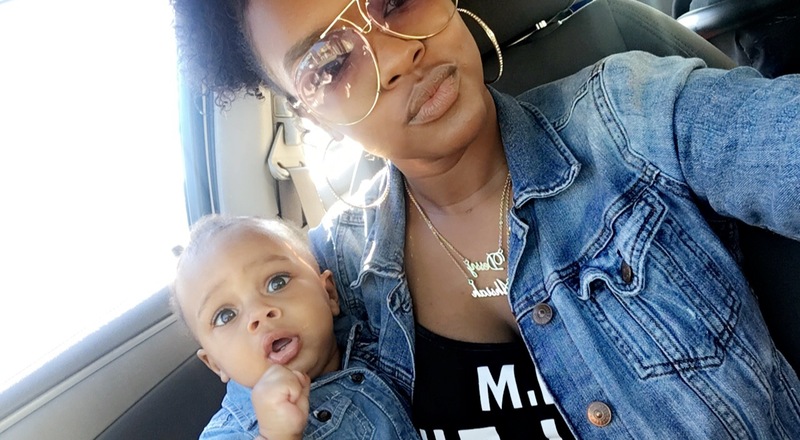 Desirae: I breast and bottle feed, I breastfed for 6months strong and then I realized my milk slowed down once I went back to work so I started giving him formula (enfamil). I was upset at first but now I’m looking into ways to help increase my milk supply . Me: Anything else you want to share about pregnancy or motherhood? Advice, tips, etc.? Desirae: To all my fellow #MommiesWithAttitude It’s okay to mess up, it’s okay not to be okay, it’s okay to want alone time. You are human . Thanks for allowing me to peek into your life! Drop your socials so we can be sure to follow you. Note that my first two self-published books are still available for purchase. You can find reviews and product information on my site (findingyourself.bigcartel.com) while you’re there you can also take a look at the accompanying products. Be sure to stay in the loop by following @chooseyoualways on Instagram. Secondly, a third book is in the making and set to release soon, my first urban novel. If you haven’t already read the snippets, click below. Last but not least, being as though I am expecting and I am a soon to be mama, I had to represent for the little ones. You can now shop for baby clothes with me @mumstyledme on Instagram!